The Chinese are the absolute leaders among foreign tourists to Russia. Russian hoteliers have announced extraordinary plans to hike prices by 50 percent due to the increasing number of travelers and the devaluation of the ruble. Hotels in Moscow and St. Petersburg hotel are seeing the highest guest numbers in the last five years, with average occupancy for the first six months of 2016 at 68 percent, according to a consultancy report by real estate firm JLL. On July 19, the Russian business daily Vedomosti reported, citing representatives of travel agencies, that due to the increase in tourist numbers from China, India and the Middle East hotels in Moscow and St. Petersburg are to raise their prices by 50 percent by fall 2016. "The devaluation of the ruble in late 2014 has resulted in prices in Moscow hotels today being among the lowest in Europe," Sergei Cheremin, head of the Department of Foreign Economic Relations of the Moscow Government, told RBTH. According to him, the growth of hotel pricing in Moscow reflects the market’s reaction to the increased demand and the very slow payback period in the hotel business. "The increasing number of tourists in Moscow, both domestic and foreign, is leading to the expansion of the hotel segment and the construction of new hotels in the city. But we should consider that the average payback period for a hotel is about 15-20 years," said Cheremin. Despite the popularization of domestic tourism in Russia, the demand for hotels in Moscow and St. Petersburg has grown due to the increased number of foreign tourists, say the market players interviewed by RBTH. The highest growth in occupancy rate (74 percent) has occurred in the luxury segment. According to Anna Bolotskaya, PR manager of Moscow’s Metropol five-star hotel, this year they have seen an increase in number of clients from China, the U.S., Western Europe and the Middle East. Medium-price hotels have seen less increase in occupancy than their luxury colleagues this year: The average occupancy in this segment of the market has grown to 67.5 percent, says the JLL report. The reason is simple: They reached their capacity maximum few years ago. The same is the case for hostels. According to representatives of the Vinegret hostel, located on Arbat Street in the city center, they haven’t noticed any dramatic growth in occupancy this year. Customer demand has remained consistently high for several years, with 80 percent of their beds booked two months ahead. Many of Vinegret’s guests come from China, Thailand and Japan – however, they do not make up the majority of clients, added hostel representatives. 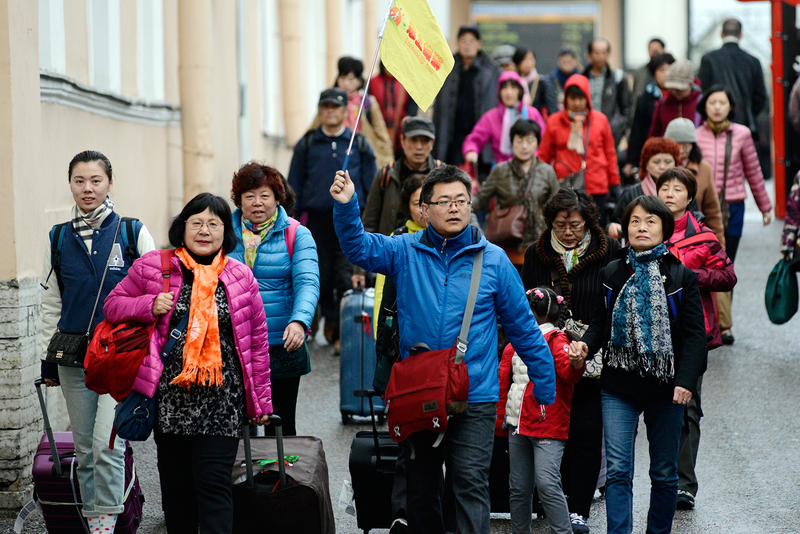 The Chinese are the absolute leaders among foreign tourists to Russia. According to the Federal Tourism Agency, in 2015, 1.35 million Chinese visited Russia, with 537,000 of them entering by the visa-free permission. “The tourist flow from China to Russia has increased threefold over the last four years,” said Svetlana Pyatikhatka, executive director of the Mir Bez Granits (World Without Borders) tourist association. With steadily growing demand for hospitality service, Chinese tourists are choosing luxury hotels more and more often. “We have observed a change in Chinese tourists’ preferences towards higher level service. IN previous years they used to stay in three-star hotels, however, now the majority of tourists from China prefer four- and five-star hotels,” added Pyatikhatka.